"Coral offers an artist a limitless visual palette of color, shape and texture. Upon closer inspection, coral is one of the most unusual life forms I have encountered. 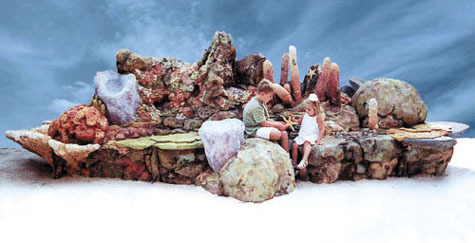 While diving in Bonair, I realized that a coral reef sculpture would be ideal for my Creative Seating Series because of the dynamic design potential. Ideally, it also would educate the public of the numerous coral species and the peril that reef systems worldwide are currently experiencing."